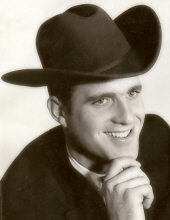 Kenneth Alvin Blades, age 74 of Breckenridge, passed away Wednesday, April 3, 2019 in Fort Worth. Memorial Service will be held at 12 noon on Saturday, April 6, 2019 at the Gunsight Baptist Church with Rex Boggs officiating. Visitation will be held at the Women’s Forum on Friday, April 5, 2019 from 5 p.m. to 7 p.m. The service will be under the direction of Melton-Kitchens Funeral Home. Kenneth was born August 16,1944 in San Diego, California to Amos and Roberta Blades. He graduated high school in Olton, Texas in 1962 and then went off to work shortly after graduation. Ken married the love of his life, Sammie Clark on June 16, 1963 in Olton, Texas. He worked most of his working career in gas production as a Gas Producer. Anyone that knew him knows his devotion and dedication to his family. He was always there for his loved ones no matter the circumstance. Ken’s grandkids were equally important to him and always wanted to attend their school and sporting events. There was many things Ken loved in this life from; hunting, fishing and taking pride of cooking one of the best steaks. The family always said his steaks were better than any restaurant. He never lost his sense of humor, even until the very end. . He was always known to those close to him as a prankster. He loved to play tricks on everyone, but especially his wife. He was preceded in death by his parents. Ken is survived by his loving wife of 55 years, Sammie Blades of Breckenridge; daughter, Tammy Satterwhite and husband Houston of Breckenridge; sons, Harvey Blades of Breckenridge, Colby Blades of Phoenix, Arizona; sisters, Larita Eddy of Moore, Oklahoma, Sue Isle of Moore, Oklahoma; brothers, Don Blades of Moses Lake, Washington, Ben Blades of Surprise, Arizona; ten grandchildren and five great grandchildren. Memorials contributions can be made to the United Way of Breckenridge or a charity of donor’s choice. Donations may be left at the Melton-Kitchens Funeral Home. Condolences may be made online at www.meltonkitchens.com. Family will welcome friends that evening. "Email Address" would like to share the life celebration of Kenneth Alvin Blades. Click on the "link" to go to share a favorite memory or leave a condolence message for the family.